Char Soo: Ever-changing crossroad of life. 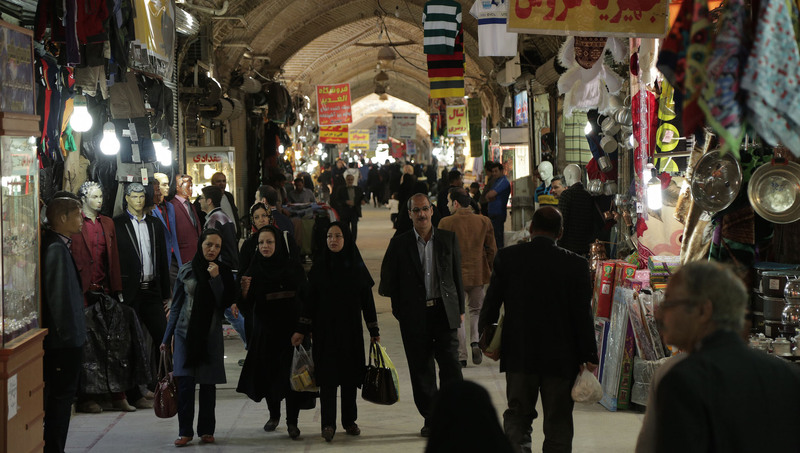 This four-screen video projection, filmed in a four-sided Iranian bazaar, aims to capture a segment of life in an ever-changing world. The work explores and contemplates the notion of movement and the passing of time. Underlying this observation is Hossein Valamanesh’s personal and emotional connection to his birthplace, Iran. The ‘Char Soo’ (four sides) can be seen as a metaphor for Iran itself, as it has been a crossroad for invasions, religions, commerce and cultural interaction for centuries.